Packing and moving are by no means easy tasks. Plus, ensuring all items are securely stored is a daunting task itself. Believe it or not, but some of the most difficult things to pack are liquids. Liquids can easily leak or burst open and ruin your belongings. When it comes to packing and moving liquids, you can never be too careful. For any move, Ameritex Houston Movers recommends starting early and staying organized. This holds true for all of your packing and moving needs. But today, let’s just focus on liquids. So without further ado, here are our professional movers’ top 10 tips for packing and moving liquids. Less mess equals less stress. First, gather supplies. You’ll need: plastic bags, plastic wrap, wrapping tape, labels, and plastic containers. 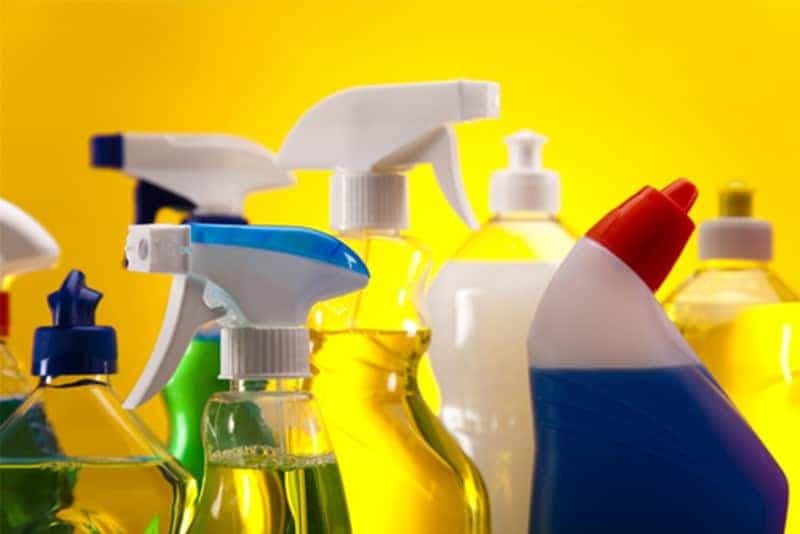 Collect your liquid and gel bottles like shampoos, lotions, cleaning supplies, etc., and sort them. Only take the ones that are absolutely necessary. If possible, try to pick small bottles. If you’re using recycled bottles, label them to avoid confusion. Check for broken bottles. If you detect any sign of damage or potential damage like a cracked bottle or broken lid, discard that item. Take the smaller bottles and tubes first. Pack all the small bottles and tubes like toothpaste, cosmetic liquids, nail polishes, small perfume bottles, etc., that can fit into your Ziploc bags. Pack small items in small boxes. Then, put the small boxes into larger boxes to prevent the smaller items from getting damaged or squished. Pack the heavier items first. As a rule of thumb, you should keep the weight of boxes under 50 pounds to make them for safe moving. Clearly mark the boxes or plastic containers with the wording “This Side Up” to communicate to your Houston Movers. Seal it with plastic wrap. Try wrapping the top part of the bottle with a small layer of Saran or plastic wrap before you screw on the cap. Then place that bottle in a plastic bag. Evenly pack liquid bottles. Try not to mush tubes and plastic bottles among other stuff to prevent the risk of squeezing and bursting. Store with cloth-like materials. Wrap bottles lightly with old towels or sheets. That way, if the liquid leaks, the cloth absorbs most of the moisture. Some bottles can fit into shoes! Putting them into shoes helps prevent them from being squeezed. Call Ameritex Houston Movers today to schedule your move!